An excellent webcast took place yesterday. 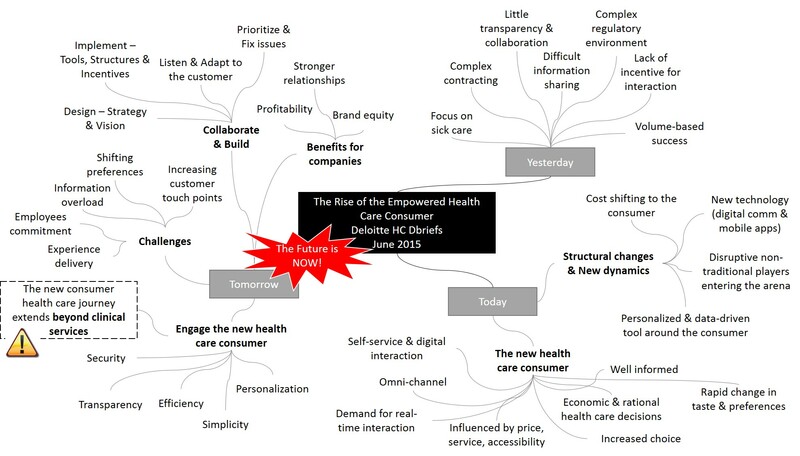 The main take-home message: companies really should include the new health care consumer as a stakeholder. The patient has now more power than ever. He/she is more informed, more connected, more commited but also more demanding. This entry was posted in Corporate Strategy, Digital Health, Health Systems, Insightful, Trend Box and tagged Corporate Strategy, Digital Health, Health System, Innovation, patient-centric. Bookmark the permalink.